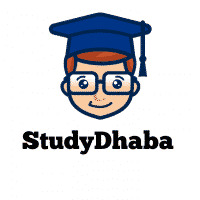 MADHUKAR COMMITTEE Important Recommendations List Pdf For IAS 2017 – Hello friends Welcome to studydhaba.com .Here We are Sharing Important Recommendations of Madhukar Committee . The mandate of the committee was to study all types of gaps in fencing and all other vulnerabilities in the International Border and to suggest comprehensive approach to fix these gaps in fencing and other vulnerabilities on interim and permanent basis. The committee has examined security mechanisms of all four Indian states sharing border with Pakistan keeping in mind challenges of different climate and topography. It has given separate recommendations for four states as each of them has different topography and problems. The MHA had constituted this committee in April 2016 to suggest ways to address the issue of gaps and vulnerability in border fencing. It was constituted three months after the terror attack on Pathankot IAF base in January 2016 by Jaish-e-Mohammed terrorists from Pakistan. These terrorist had infiltrated into India by beaching the India-Pakistan border through porous border in Punjab especially from the riverine stretch.